B 17F 42-29702 crashed in the Baltic sea south of the Island of Langeland 13/6-1943. The aircraft belonged to USAAF, 8 Air Force, 95 Bomb Group, 336 Bomb Squadron and was coded ET-H. While passing over the Baltic Sea south of Denmark the American force was attacked by several German fighters and 42-29702 which was christened “Rat killer” was one of those shot down crashing in the sea south of the island of Langeland. The Bombardier 2nd Lt Harley H. Riley, Radio operator T/Sgt Joseph L. LaSarge, Ball turret gunner S/Sgt Albert J. Poley, Right waist gunner S/Sgt William G. Guse, Left waist gunner S/Sgt Chester L. Riatkowski and Rear gunner S/Sgt Cicero J. McNeeley have no known graves. 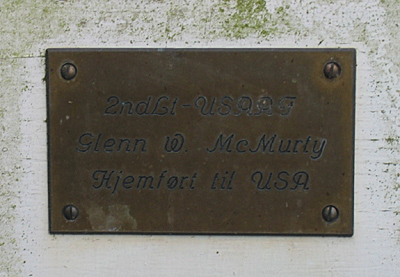 On 7/7 the body of Second pilot 2nd Lt Glenn W. McMurty was retrieved from the Baltic Sea and brought to Bagenkop harbour on the island of Langeland. 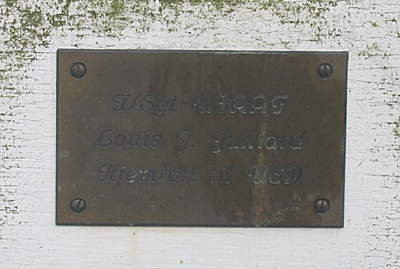 He was laid to rest in Magleby cemetery on 8/9-1943. 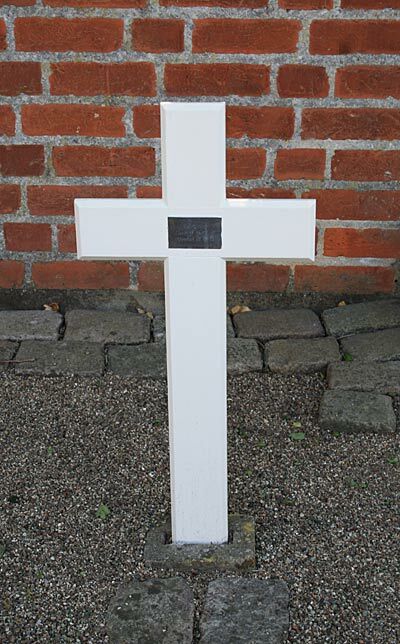 The body of Navigator 2nd Lt John J. Lambert was found drifted ashore near Olde on the island of Ærø on 16/9 and was laid to rest in Rise cemetery on 17/9-1943. 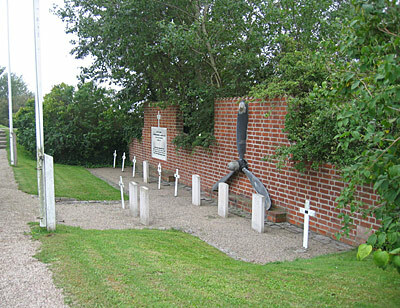 On 11/12 the body of Top turret gunner T/Sgt Louis J. Julliand was found in the Baltic Sea by Fisherman Valdemar Kølle and taken to Bagenkop harbour. 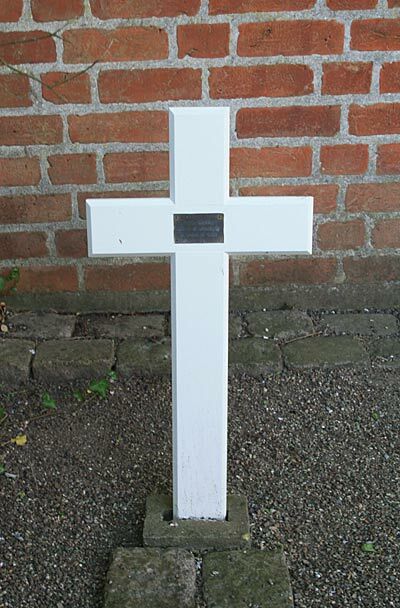 He was laid to rest in Magleby cemetery on 13/12-1943. 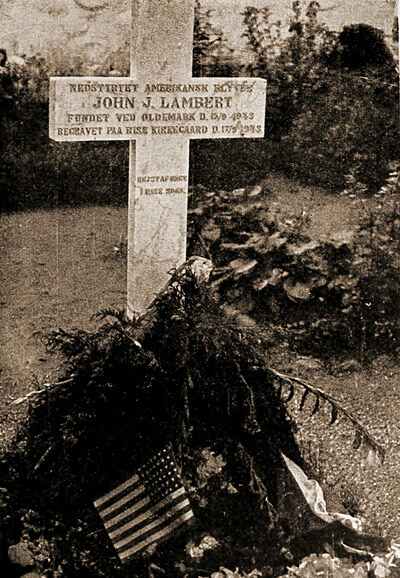 McMurty, Lambert and Julliand were disinterred in 1948 and are today believed to rest in USA. On 13/4-1956 fishing vessel “Nordlyset” of Bagenkop were fishing on a position midway between Bagenkop and Eckernförde. When Skipper Eigil Hansen and fisher Ole Frandsen pulled in the trawl they found a parachute and the remains of a allied flyer dressed in uniform. In the uniform was found four ID marks and a crucifix. 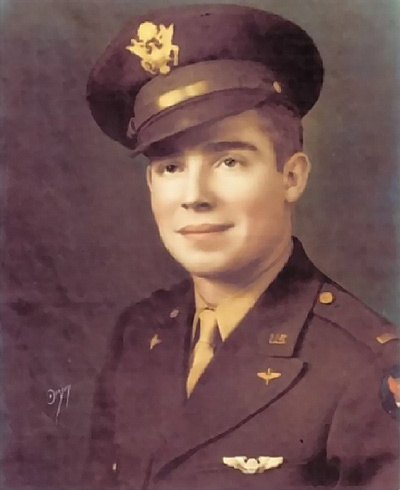 It was the remains of Pilot 1st Lt William G. Renaud. He was taken to Bagenkop and rests today at the Ardennes American Cemetery in Neuville-en-Condron in Belgium. Sources: MACR, LBUK, Report Ærø police, FB, Gunnar Kjær Mortensen, ABMC.